For the record, I’m totally loving FX’s new scripted comedy series ‘Atlanta’! In a world filled with reality shows, it’s truly a breath of fresh air! While last week’s episode focused on Vanessa (Earn’s baby mama), this week we are treated to Paper Boi’s appearance on The Montague show as he addresses important topics on B.A.N. (Black American Network). 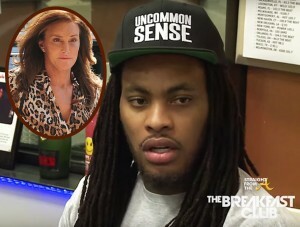 Rapper Waka Flocka Flame (aka Juaquin Malphurs) felt backlash from the entire LGBT community over the weekend after sharing his views about Caitlyn Jenner. 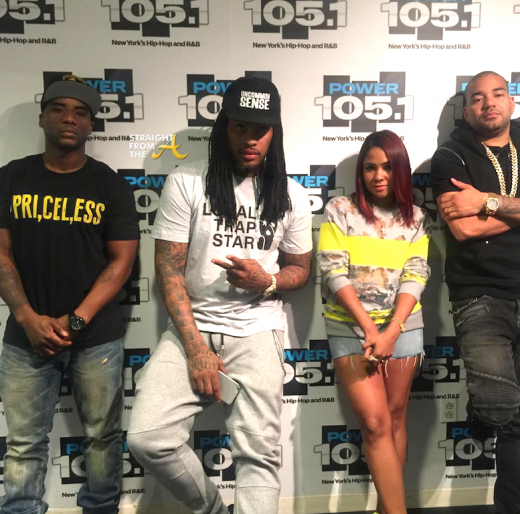 Flocka took to Twitter to clarify his statements but only after he got blasted for speaking about the “dangers” posed for “traditional families” during his interview last Friday with New York radio station Power 101.5 show, The Breakfast Club. “Women are afraid to be a wife and young males is afraid to be men,” he said.